As the season gets underway in Southern Oregon springer fever is invading the Upper Rogue River. However, this year anglers are facing conditions we haven’t seen since 2012. Southern Oregon finally received a heap of much needed rain and snow this winter, which has pulled us out of the drought we’ve been in for the last three years. The large snowpack has already started melting, which has the Rogue River running higher and colder than the past few years. As a result springers have been moving upriver at a slower pace. I started catching springers in mid-April above the town of Shady Cove, but the bite has been hit or miss. On a typical day we have been working hard for one-or-two bites, and then we have the occasional day with five-to-five hookups. So far the large majority of our catch has been wild springers. Hatchery fish have been hard to come by. This is very atypical. On a normal year the early run is composed of about 75% hatchery fish. The natives come in later. Luckily, many of the fish we’ve had to release have been the five and five year olds. Many weigh greater than 25 pounds. 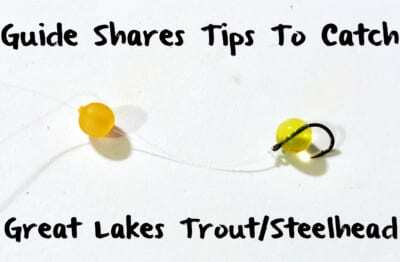 With the high, cold flows, I’ve had to make a few adjustments to how and where I fish. I’ve been finding fish holding in different parts of the holes compared to the last few years. Instead of fishing the main current, I’m catching most of my fish on the seam between the current and the softer water. The flows are too heavy for the fish to sit in the current so they are pulling off into the softer water to rest. You can also find springers sitting in more typical steelhead runs that are now a couple feet deeper thanks to all the water. Back bouncing a 50-50 mix of Pink & Red Fire Cure eggs has still been my go-to method (you can find my cure recipe here): https://www.pautzke.com/the-perfect-back-bouncing-cure-for-salmon. Adding sand shrimp to the eggs has been a key to success though. I like to thread my sand shrimp onto the leader above the eggs. 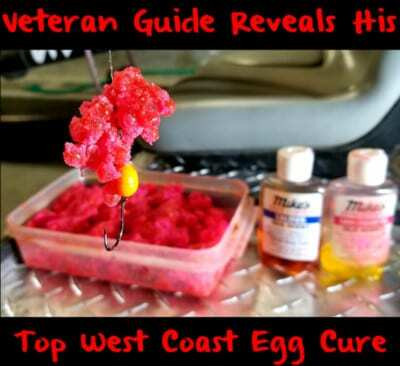 When done this way it will help your sand shrimp last longer, protect your eggs and make them last longer. 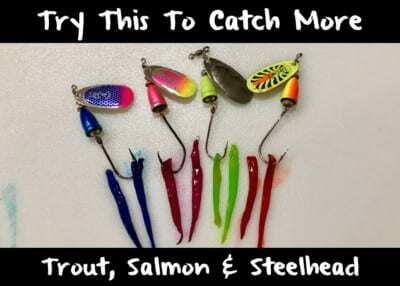 Your baits will take a beating in the heavy current. The longer they last the more time you’ll be able to spend in the water, and the better chance you’ll have at getting bit. Make sure to also bump up the size of weight that you’re using. I’m currently running anywhere from three-to-six ounces depending on the hole. Even though springer fishing has been hit or miss so far on the Upper Rogue I expect things to improve rapidly late May and June. That is the normal peak of the run and conditions should be more favorable. Our springer run persists until the end of July. We constantly get fresh fish moving in until it closes July 31st. 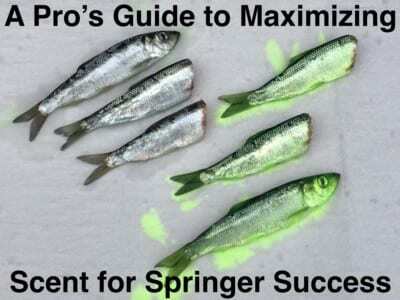 Anglers may keep two hatchery per day. Editor’s Note: Steven Theel operates SO Chrome Guide Service. 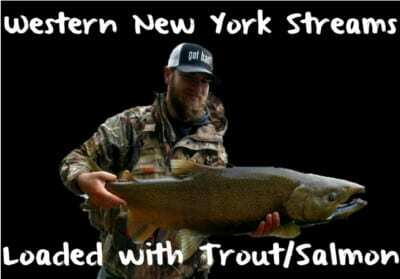 For more info on his guided Upper Rogue springer trips please visit http://so-chrome.com or https://www.facebook.com/SOChromeGuideService. To watch the new episode of Pautzke Outdoors filmed with Theel on the Upper Rogue please visit https://youtu.be/L7cqOytH3w0.